Suad Keserovic cleans a stone ball in Podubravlje village near Zavidovici, Bosnia and Herzegovina April 11, 2016. Keserovic claimed that the stone sphere is 3.30 meter in diameter and the estimated weight of it is about 35 tons. 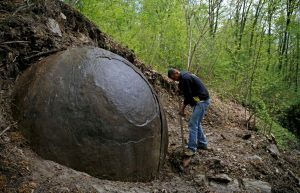 In a Bosnian forest, the discovery of a strange giant sphere has sparked debate after a researcher claimed that it could be evidence of an ancient civilization. 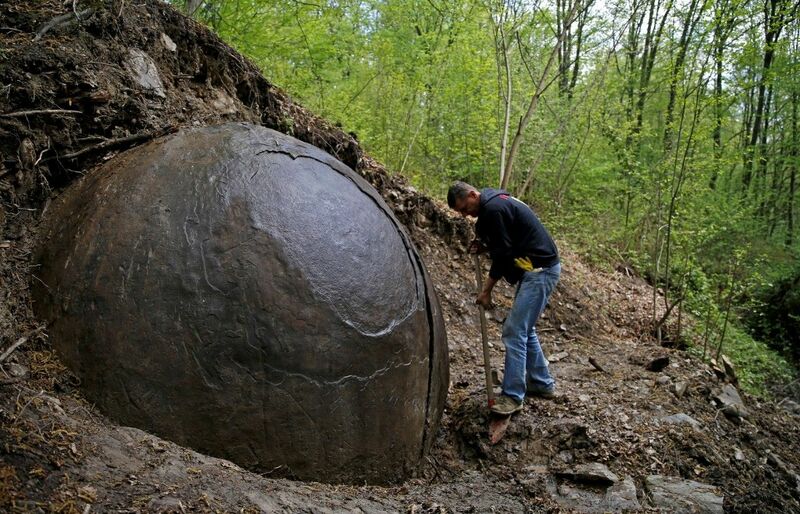 Archaeologist Semir Osmanagich estimates that the sphere which resembles a giant cannon ball protruding from an embankment could have a diameter of anywhere from 7 to nearly 10 feet. The discovery invites comparison to stone spheres in Costa Rica, which occupy four sites that were given a UNESCO world heritage designation in 2014 and are said to be the inspiration for a scene in the film Raiders of the Lost Ark. The Costa Rican spheres range in diameter from 2 to over 8 feet. Their meaning, use and production remain largely a mystery, UNESCO says. Visiting the Costa Rican stone spheres in the southern corner of the country is a trip easily combined with the Osa Peninsula and South Pacific beaches. Either drive along the coastal road, Route 34, from Quepos, then back inland to Palmar Sur, or through the mountains on the Pan-American highway to San Isidro de General and on from there. Both routes are in good condition — just depends whether you’d like to stop to spot a Quetzal or whale on the way!